Over at The Schroeder Page, students had a main idea and supporting details scavenger hunt! Some students are given a main idea written on a paper headband. 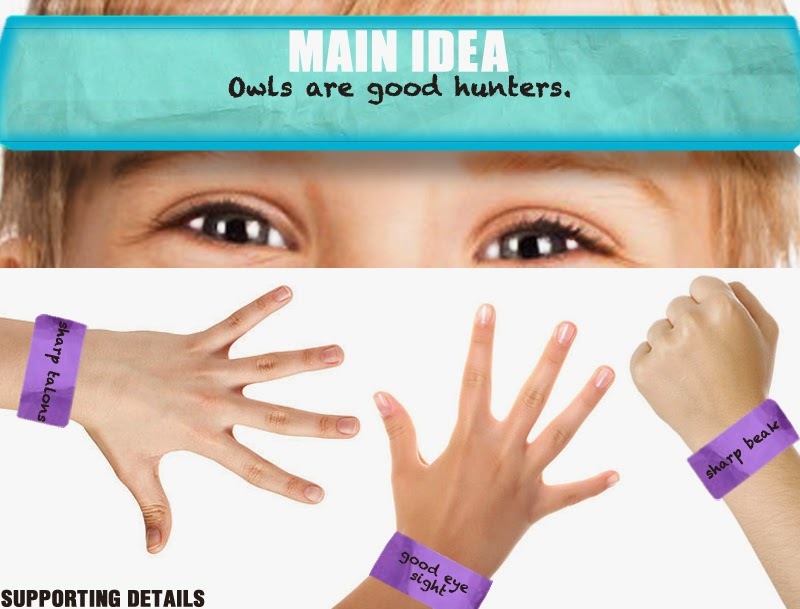 Other students have supporting details written on paper wristbands. Children have to go around the room and find the group they belong to. (4 in a group: 1 main idea and 3 supporting details). Check out the lesson here! For more main idea activities check out Brain Pop Jr.